If you find yourself in Paris on July 14th, and you don’t know it is Bastille Day, you’re in for quite a surprise! Throughout the country there are fairs, fetes, parades, fireworks and feasts to celebrate the most flamboyant of French National Holidays, but the heart of the action is in Paris itself.While there is plenty for the accidental visitor to enjoy, there are also some great perks for the organised traveller – FREE entry to some spectacular events! We tell you which must-see Bastille Day goings-on you must not miss, and tell you where to head this year to make the most of your visit to Paris! 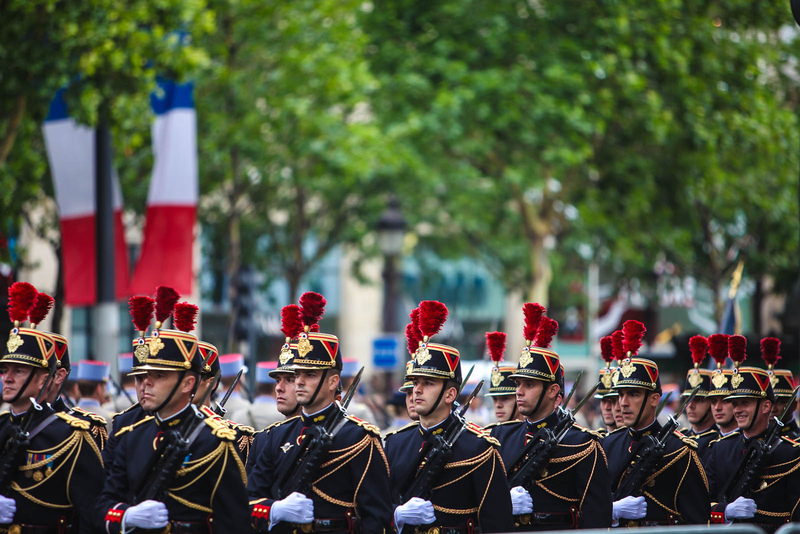 Military parade on the Avenue des Champs-Elysees – from 9am until midday on 14th there is a spectacular parade along one of the most recognisable roads in France. Expect breathtaking formations of troops on foot, on motorcycle and of course troops mounted on their trusted steeds. Around mid-morning there is a fly-by by the Air Defence and Air Operations Command. Welcoming of the Soldiers – this will take place across 9 sites, after the main celebration in the morning. It is a chance for the people of France and tourists alike to talk to soldiers about their profession and the missions they have been on to defend their country. There will also be demonstrations and talks from the soldiers too. Visitors should head to Esplanade des Invalides and Place de la Nation, the two larger sites that have been confirmed for this year’s celebrations. Fireman’s Ball – this takes place on 13th and 14th July 2014 from 9pm until 4am at various fire stations across the city. Entry is either paid on the door, or donations are requested upon entry. All proceeds go to improving conditions for Firefighters. At the time of writing there were 28 events listed, so you are sure to stumble across one on your travels! 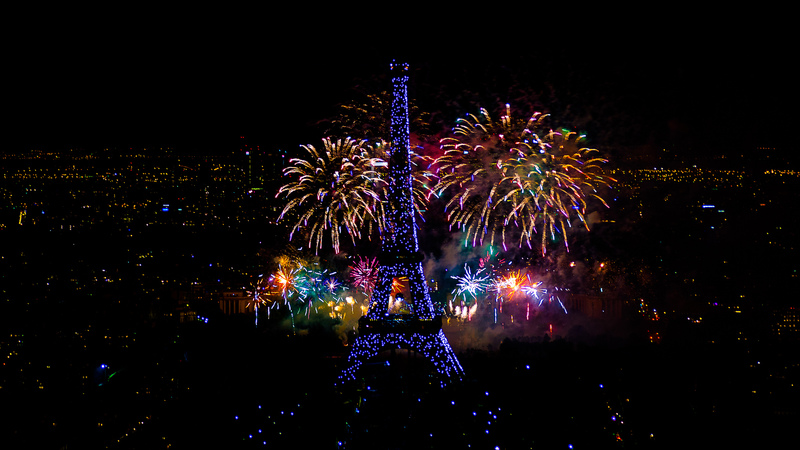 July 14th Fireworks Display – for 35 minutes from 11pm on 14th July 2014 those who find themselves at Champs de Mars or Trocadéro will be able to witness one of the most sensational firework displays in the world. The Eiffel Tower plays centre stage to a pyrotechnic feast you won’t forget in a hurry, and is most certainly something you don’t want to miss during your visit. Performance at the Opera De Paris – 14th July 2014 there are limited seats, so book in advance! Louvre Entry – 14th July 2014 all day. It is also free to go in on the 1st Sunday of the month. Don’t forget to book your travel insurance before you go… we do some great deals for occasional and frequent travellers, and kids go FREE on our family travel insurance. This entry was posted in Single Trip Travel Insurance, The places we've been, Travel Insurance on July 10, 2014 by worldwideinsure.